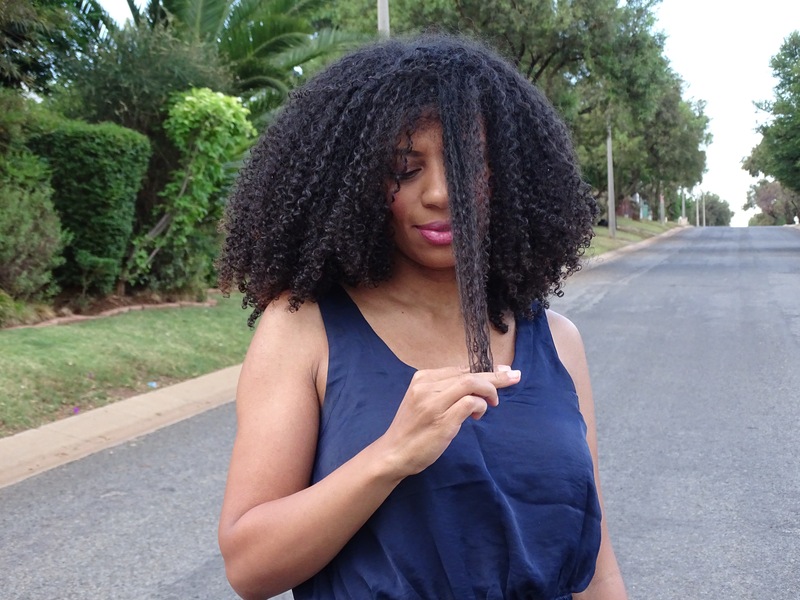 The topic of cutting natural hair has recently been coming up a lot. Not only for me and my hair, but in the natural hair groups I belong to as well as naturals that I’ve been connecting with on a personal level. It’s become quite apparent that there are a lack of stylists who know how to cut natural hair, not only in South Africa, but elsewhere in the world as well, to the point where girls will travel miles and miles to have their hair shaped by the one specific stylist they can trust. I have just recently met a natural who will only go to one stylist in particular in New York to have her hair cut, even though she spends much of her time abroad. Unfortunately, not all of us have access to this type of luxury, myself included. It’s with this dilemma in mind that a curlfriend of mine reached out to me recently and asked me to share my thoughts and experiences on how I’ve been getting my hair cut. Since I started my natural hair journey while I was living in Japan, I’ve never been to a stylist. Curly/afro hair stylists simply don’t exist there, and if they do I’ve never never been able to find one. Be that as it may, I quickly schooled myself in the ways of DIY hair cutting. I’m sure there are a number of methods of doing it, but this is how I’ve gone about it. To shape up my mane, I usually enlist the help of my husband to give me the cut that is referred to as the Deva Cut. I wrote a detailed post about it here, but basically it’s a technique where the hair is cut in its natural form: dry, not wet. Each curl is individually shaped and the style is based on the individual, which is what I love about this technique. You work with your own curl pattern, of lack thereof even, but it’s based on your hair. There’s no need to blow-dry and/or flat iron the hair first. Wash my hair and air-dry. Once completely dry, I’ll sit myself down in front of the mirror. My husband will start cutting, commencing from the back left side first, making his way to the front. Following this he’ll start from the back right, and continually compare the shape with the right side as he makes his way forward on the right side. So he cuts just about every single curl on my head until I’m happy with the shape. As I mentioned in my previous post about this technique, this cut is definitely more about the shape than the length. Many curly girls have multiple curl patterns on their head, and I’m no exception. The hair at the nape of my head has a much looser curl pattern, which means it doesn’t shrink up as much as the rest of my hair. The result is usually that that hair hangs down longer on my back, even though it really is in proportion to the rest of my hair. But ultimately it just looks silly or as my brother used to call it, “the stingray look’. So we always try to get those proportions right. The end result is that those strands end up quite a bit shorter than the rest of the hair, but because of its loose curl pattern, it hangs in proportion to the rest of the hair. So it looks as good at the back as it does in the front. And as I’ve said before, I’ve never been to a salon to have my hair shaped up as this method has worked well for me so far. I’ve also heard one too many horror stories of curly hair cuts and general styling gone wrong. I usually trim my hair myself and do this when my ends are extra dry, frayed or when it seems like the single strands knots are starting to take over. So after having cleansed, deep conditioned and then applying a leave-in conditioner, I’ll proceed to twist my hair as usual. Once I’ve completed each twist I’ll cut off about 1cm of hair. 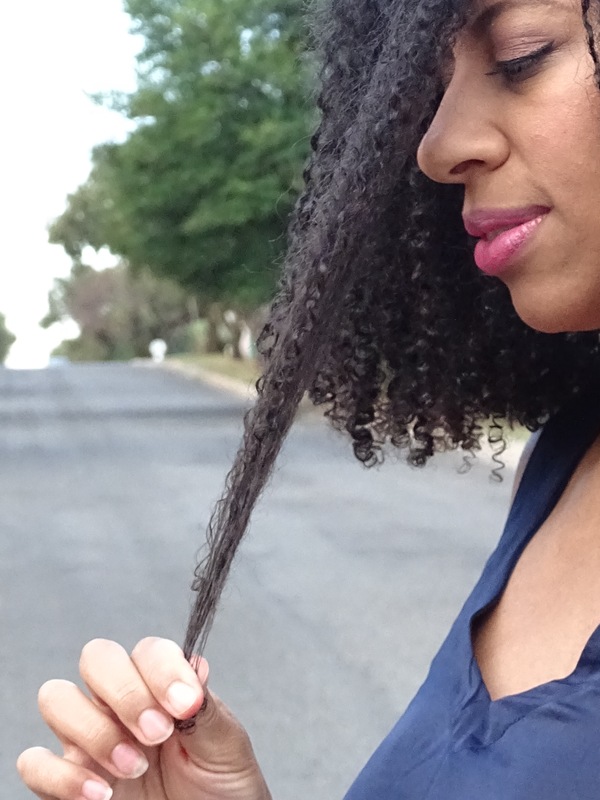 If your hair is long enough this is really an easy way to trim and keep your ends healthy. Go slowly – You don’t want to rush cutting your own hair as it’s easier to make mistakes and you’ll have to be patient waiting for the mistakes to grow back. Only cut off a little at a time – You can rather go back and take off a little bit more hence tip no 1. Enlist the help of someone you trust – It does not necessarily have to be someone who’s cut hair before, just as long as it’s someone who realises how important this process is to you. That will automatically make them take care of you and your curls and leave your mind at ease. How do you get your hair cut? Salon visits or DIY? Please share below. Next Post We are family! I think it’s so nice that your husband thinks he’s a stylist, aw it’s cute. I usually trim my hair when wet (after my co-wash) because I have 4c grade which is much more dense. Great advice! It’s really not that he thinks he’s a stylist. It’s more that I have insisted that he play stylist because I’ve not trusted anyone else with my hair. Thanks for reading! I agree. It is hard to get a salon that is patient to deal with your natural hair. So learning to do things yourself is beneficial. Thank you so much. I’m also glad you enjoyed the braid out tutorial. My trims always turn into big chops. I always end up cutting almost half the length of my hair buuut thats my fault because those are usually damaged ends. My hair at the nape is also quite loosely curled. Makes trimming a mission. No hairstylist ever touch this hair unless its to get protective style. Hairstylists? On whose hairs? Never! I only go to them for installations only. Everything else i do on my own. The hair at the back of my hair is also loosely curled. Makes trimming a mission. And shaping? Naaah. Maybe when it gets longer.